Ford Performance designers, powertrain and aerodynamics engineers functioned as a virtual racing team to test hundreds of designs both digitally and physically. 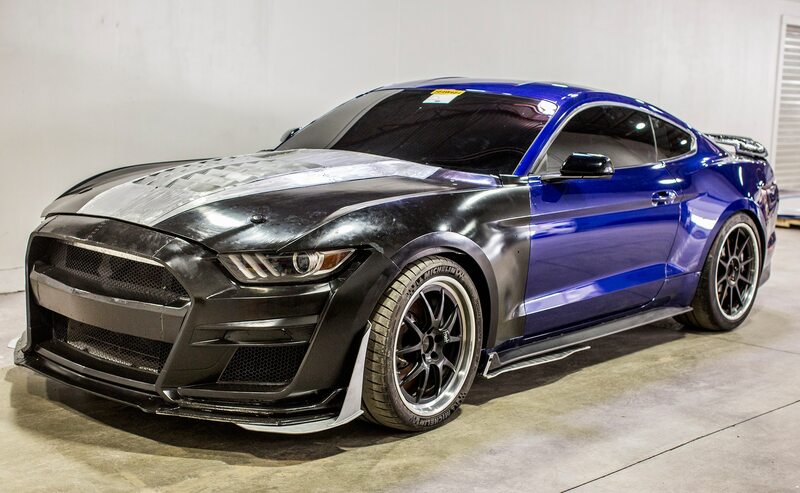 They utilized experience and best practices from more than a century of racing, along with state-of-the-art digital and additive manufacturing prototyping tools as part of a mission to make the ultimate, most advanced performance street-legal Mustang of all time. “Every millimeter counts for the Mustang Shelby GT500 to deliver on downforce, braking and cooling targets,” added Titus. 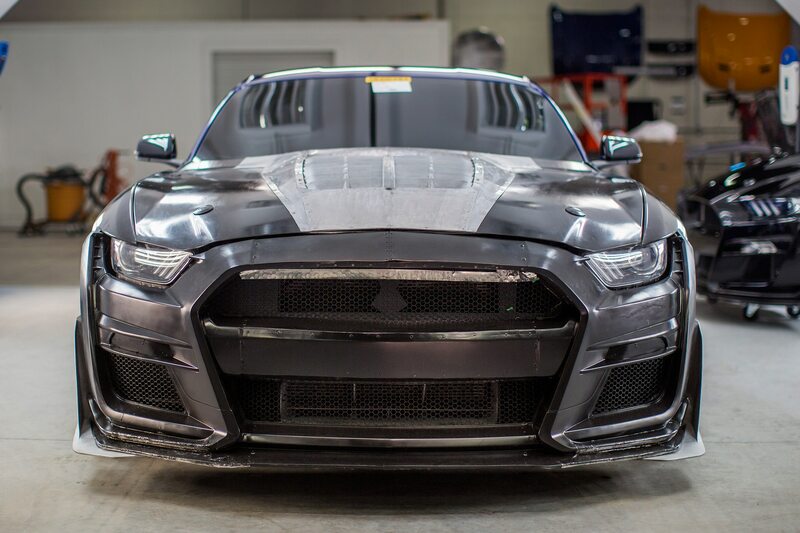 The team leveraged Ford’s vast resources of advanced design simulation tools, including the Ford Performance technical center in Concord, North Carolina, and rapid 3D prototyping systems at its Advanced Manufacturing Center in Redford, Michigan, which HOT ROD toured last year. The team also used Ford’s wind tunnels in Michigan and North Carolina to physically validate the improving designs. In addition to computer simulation, the Shelby GT500 team performed extended high-speed tests on some of the most notable racetracks across the United States. This included Virginia International Raceway, NOLA Motorsports Park, and GingerMan Raceway in Michigan. The track testing was used to refine the aerodynamic designs that help the all-new Shelby GT500 deliver the fastest track times ever in a production Mustang, along with improved driver control that delivers greater driver confidence. In fact, Ford stated that more than 500 3D cooling and aerodynamic designs were analyzed to maximize aero performance and cooling, with more advanced design models driven on full chassis simulators at the Ford technical center with professional racing drivers. Key modeling simulations included cooling systems, front fascia and splitter designs, along with brake ducting, rear spoiler designs and a large 6.03 square-foot louvered hood vent. Ford was able to use technology to speed development time of critical parts and pieces. The most promising designs were printed in a matter of days, not months, allowing the team to increase the fidelity of performance and aerodynamic refinement. “For example, more than 10 front splitter wickers were printed and tested, some with minute modifications to perfect their design, with multiple versions of parts simultaneously sent out for track evaluation,” explained Titus. Ultimately, the team achieved maximum rear downforce of 550 pounds at 180 mph with available Carbon Fiber Track Package. This came after leveraging the Mustang GT4 race-proven rear track wing to deliver the most downforce ever on a street-legal Mustang. There’s also an innovative new rear spoiler design, standard on the base 2020 Shelby GT500 known by the aero team as “the swing.” This is a hybrid between a spoiler and a wing and is a result of the advanced simulations and prototyping process. With available Handling Package and Gurney flap installed, the swing works to deliver 379 pounds of rear downforce at 180 mph. 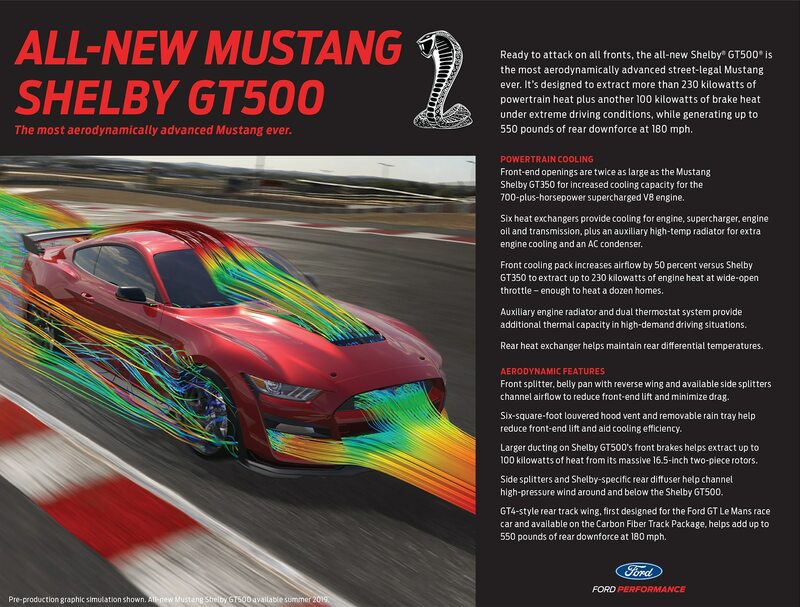 “High-performance cooling targets also factor into the design and virtual testing to help ensure consistent heat management and power delivery over extended sessions at the track.” This includes a new performance fascia design that doubles the front opening volume and increases cooling pack airflow through six heat exchangers at top speed by 50 percent versus the existing Mustang GT350 design. A removable rain tray further aids cooling reduces underhood air pressure at high speeds, while a Shelby-specific rear diffuser helps channel under-car airflow. 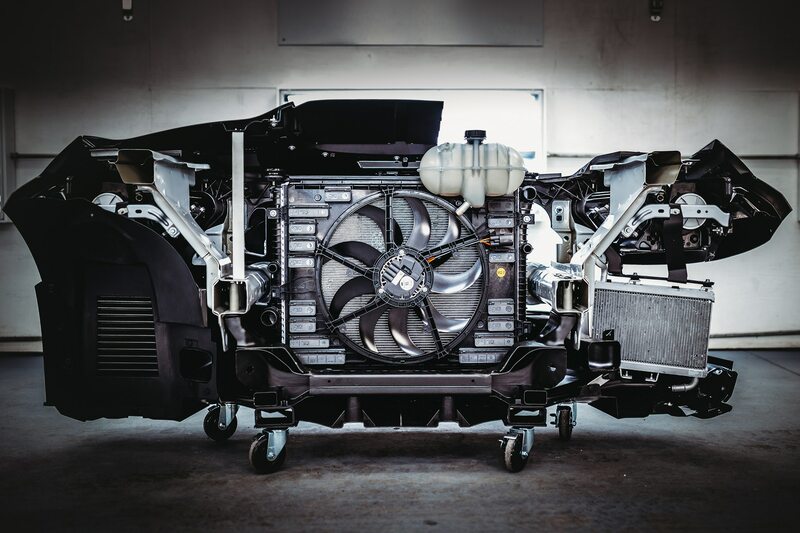 There’s even a new dual-side thermostat designed to route coolant to a new auxiliary radiator, a 600-watt brushless electric fan motor, and performance aero fan shroud with 16 speed flaps to improve cooling pack airflow, while mitigating drag and front-end lift. Two new race-style oil and transmission coolers further improve powertrain cooling. 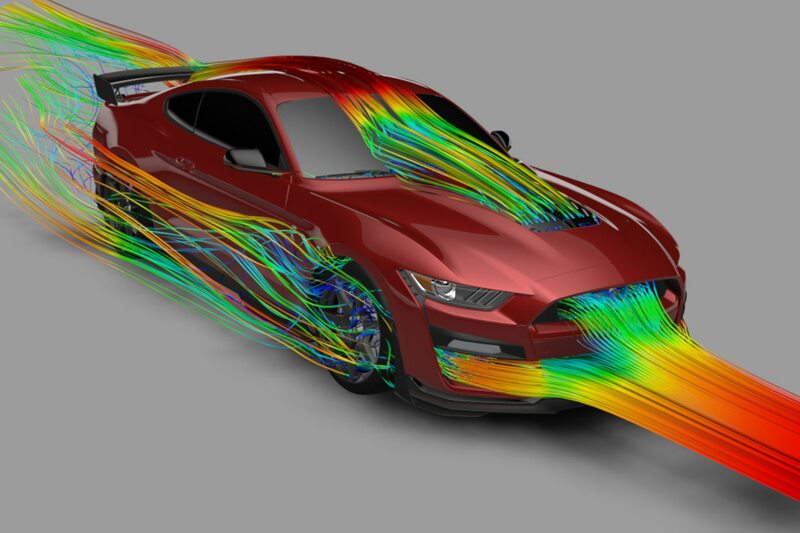 “This all-new aero design merges state-of-the-art design and materials technology with the craftsmanship of Ford racing expertise to create the most aero-capable Mustang ever,” said Steve Thompson, Ford Performance vehicle dynamics engineer. “It’s powerful, balanced, and consistent – even over extended track runs – which works to deliver more fun and greater confidence for drivers.” The 2020 Mustang Shelby GT500 goes on sale this summer.